In the US, many patients suffering from nerve pain or neuropathy are given some sort of prescription medication to ease their pain. 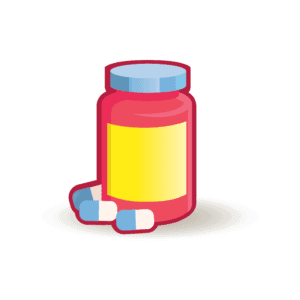 While these medications do help reduce pain, they often have many side effects. Over in Europe, doctors have been taking a different approach to treating neuropathy. Use of the supplement alpha lipoic acid is fairly common in Germany and other European countries. Clinical studies have shown that is effective for minimizing the pain and suffering of neuropathy. Learn more about the substance and its benefits for people with nerve pain. Alpha lipoic acid, or ALA, is a type of antioxidant. According to the National Institutes of Health, antioxidants are substances that help prevent or delay damage to the body's cells. 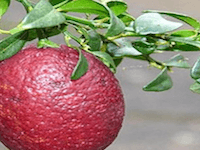 Antioxidants can be man-made or naturally occurring. ALA occurs naturally in the body. In fact, it's found in every single cell of the human body. It helps the cells convert glucose, a type of sugar, into energy. During the process of turning glucose into energy, a number of waste products are created. They are known as free radicals. ALA fights and destroys the free radicals. It can also help the body produce other antioxidants and replenish the supply of antioxidants as they are used up. Usually, antioxidants are either water soluble or fat soluble. A water soluble antioxidant needs water to do its job correctly while a fat soluble antioxidant needs fat cells to properly function. ALA stands apart from other antioxidants because it is both water and fat soluble. Its solubility allows it to work all over the body. It's also one of the few antioxidants that can pass easily into the brain, providing benefit to those with nerve damage or other neurological issues. 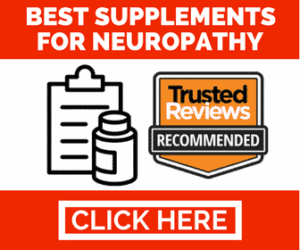 One of the issues of treating neuropathy with medications such as antidepressants or anticonvulsants is that those medicines don't actually treat the root problem. They ease the symptoms of neuropathy, but have no effect on the cause of the neuropathy. Supplements like Nerve Renew that contain ALA not only help to reduce the symptoms of nerve damage. The ALA can also work to repair the damaged cells. People suffering from diabetic neuropathy often have considerable free radical damage to certain nerve cells. ALA goes after the free radicals, minimizing the damage caused to the nerves. A variety of clinical studies have been conducted concerning ALA. These studies look at the role ALA plays in reducing neuropathy, particularly in patients with diabetic neuropathy. Several studies have been conducted in Germany, where ALA is approved for treating neuropathy when given in either an oral form or intravenously. In one study, 1,258 patients were given 600 milligrams of ALA through an IV for three weeks. The patients who received ALA noticed a remarkable improvement in their nerve pain and other symptoms after the three weeks. Although intravenous ALA is much more effective for treating neuropathy, taking the supplement in pill form also benefits people. An additional German study featured 24 patients who had type 2 diabetes. The patients who took 1,800 mg of ALA in pill form for three weeks had a considerably greater improvement in their neuropathy symptoms versus patients who were given a placebo. Another study involved 181 patients. The patients were given either 600 mg, 1,200mg or 1,800 mg of ALA daily for five weeks. The results showed that patients taking the 600 mg dose had similar results as those taking the 1,800 mg dose. Yet another clinical study involving ALA featured more than 500 people with type 2 diabetes and neuropathy. Some people in the study received 600 mg of ALA intravenously for three weeks, then 1,800 mg of ALA in pill form for six months. Another group was given 600 mg of ALA intravenously for three weeks, followed by a placebo pill for six months. The third group received placebos both intravenously and in pill form throughout the study. Study participants who received intravenous ALA showed the greatest improvements in their sensory and motor nerve issues. There is more than one form of alpha lipoic acid. S-ALA is the type most often used in supplements, although it does not naturally occur in nature. R-ALA is the variety produced in the human body, as well as in plants and animals. On its own, R-ALA is unstable. It breaks down quickly at room temperature, making it difficult for the body to absorb unstabilized R-ALA from supplements. Although S-ALA is more stable, it is not easily absorbed by the body when taken in supplement form. Stabilized R-ALA included in Nerve Renew is the most effective form of the antioxidant available in nerve pain supplements. Stabilization not only makes ALA more durable and able to withstand higher temperatures, it also improves its efficiency. The body is better able to absorb and used stabilized R-ALA compared to S-ALA. There are several ways for a person to get ALA. It is synthesized by the body naturally and people without neuropathy are usually able to produce enough of it. ALA is also found in a variety of foods. The three foods that contains the highest amounts of the antioxidant include liver, red meat and brewer's yeast. It's also found in high amounts in broccoli and spinach. The antioxidant is also available in supplement form. Supplements often contain considerably more ALA than a person can get from diet or can produce naturally. Pills that contain ALA are available over-the-counter while injections of the antioxidant can be performed by a doctor. Nerve Renew contains stabilized R-ALA as one of the ingredients, offering 300 mg per two capsule dose. 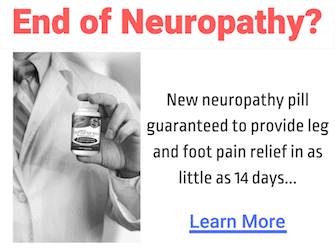 Thousands of people have used ALA to get relief from the pain caused by neuropathy. If you haven't had much success with medication or other treatments, it's time to try a more natural approach. Studies and research back up the claim that ALA helps reduce neuropathy symptoms. It's time for you to give it a try today.